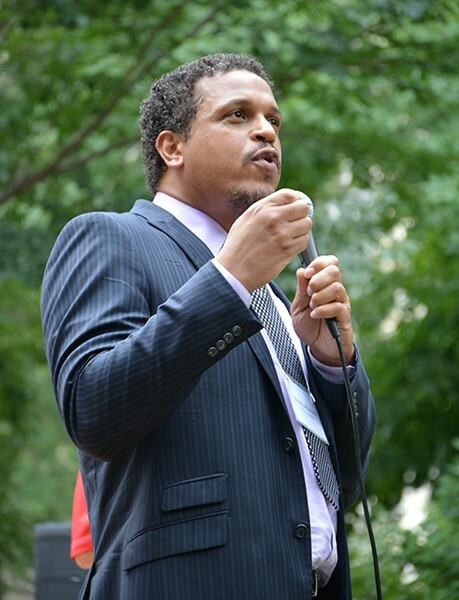 After Chicago Public Schools officials banished Blaine Elementary School principal Troy LaRaviere, putting him under their version of house arrest, folks all over town looked toward Monday, April 25, as the day of revelation. That's when the central office promised to reveal what alleged crimes against humanity LaRaviere committed to warrant being unceremoniously yanked from his job in the middle of spring break. They could have waited to yank him till summer, when school's out. Or they could have kept him where he was—what with him being an award-winning principal and everything. And so it was on Monday that a hush fell over the jam-packed Blaine auditorium as CPS official Janice Jackson announced that Troy Anthony LaRaviere was guilty of . . . Kicking over the lamp in Mrs. O'Leary's barn! Only joking—Troy's too young to have started the Great Chicago Fire, though I'm sure Mayor Emanuel would blame it on him if he could. Alas, the rationale Jackson offered up Monday was as vague as the one given when CPS announced last week that it had "reassigned" LaRaviere "to home." According to Jackson, LaRaviere faces 12 unspecified charges having to do with "dereliction of duty, ethics violations of CPS policy and insubordination." Plus, he double-dipped in the guacamole at Blaine's Christmas party. CPS chief education officer Janice Jackson explains LaRaviere's removal. Sort of. For what it's worth, my explanation for why CPS officials did what they did is because Mayor Rahm told them to. The mayor's got to be sick and tired of LaRaviere blasting the hell out of him for intimidating principals, force-feeding students standardized tests, wasting time with his burdensome teacher evaluations, stripping schools of funding and trying to privatize what's left. 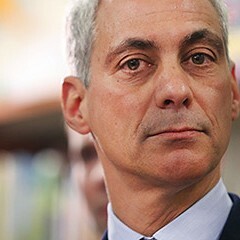 LaRaviere has his own blog where he writes things like—just to pick one example—"unfortunately, our mayor and his appointed board of education have been so irresponsible and so reckless, that I find myself squarely in agreement with the CTU on several school issues." A principal defending the Chicago Teachers Union? Now that's revolutionary! And bound to stick in the mayor's craw. 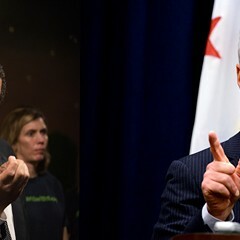 Also, LaRaviere endorsed Jesus "Chuy" Garcia over Emanuel in last year's mayoral election. Then the principal doubled down by doing a commercial for presidential candidate Bernie Sanders in which he said, "The chief politician standing in the way of us getting good schools is our mayor." Even I never said that. Though if you asked . . .
After LaRaviere was reassigned, Sanders issued a statement ripping "Mayor Emanuel's unhealthy obsession with taking revenge." You know, it's sad that you've got to go all the way to Vermont to find a Democratic elected official willing to tell it like it is about Rahm. Emanuel might have been willing to overlook all this if LaRaviere hadn't pursued an even bigger bully pulpit by running for president of the Chicago Principals and Administrators Association. As someone I know recently said, having LaRaviere at the head of the principals' group would be like having two Karen Lewises in town. Who was it again? Oh, wait, that was me. LaRaviere's reassignment bars him from entering any public school, which will make it difficult for him to campaign for next month's election. Still, Jackson said Monday that LaRaviere was free to run. Jackson also insisted that LaRaviere's reassignment was not the result of his criticism of the mayor. "I can honestly say this was not a politically motivated decision," she said. This was a follow-up to her remarks last week, when she said, "We did not consult with the mayor in making this decision." 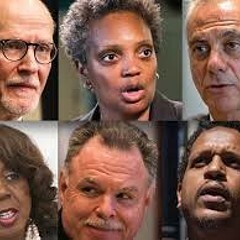 Actually, the real question is whether Emanuel consulted with her before he made the decision. Or did he just bark out the command? For the record, Emanuel claims he had nothing to do with LaRaviere's punishment, telling reporters, "I do not get involved in a personnel decision." 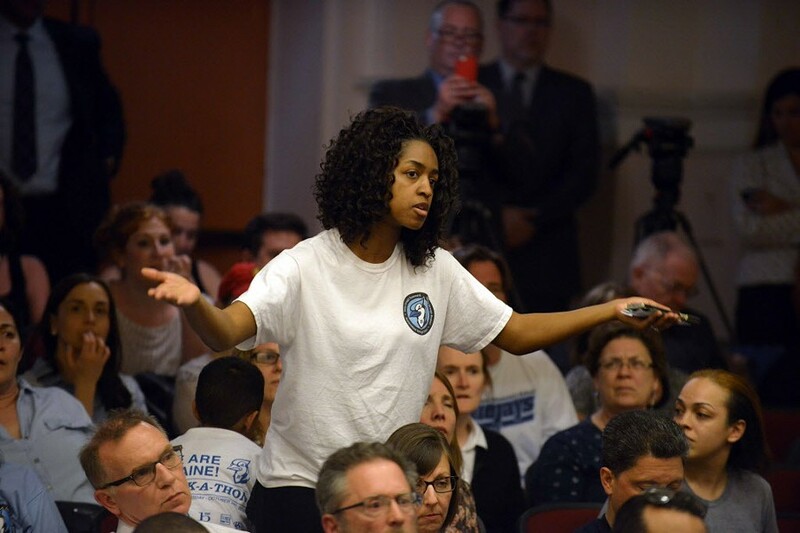 Blaine parents vented their frustration at Monday's meeting. I think Chicagoans believe this about as much as they believe Rahm's assertion that last year's election played no role in his decision to bury the Laquan McDonald video. 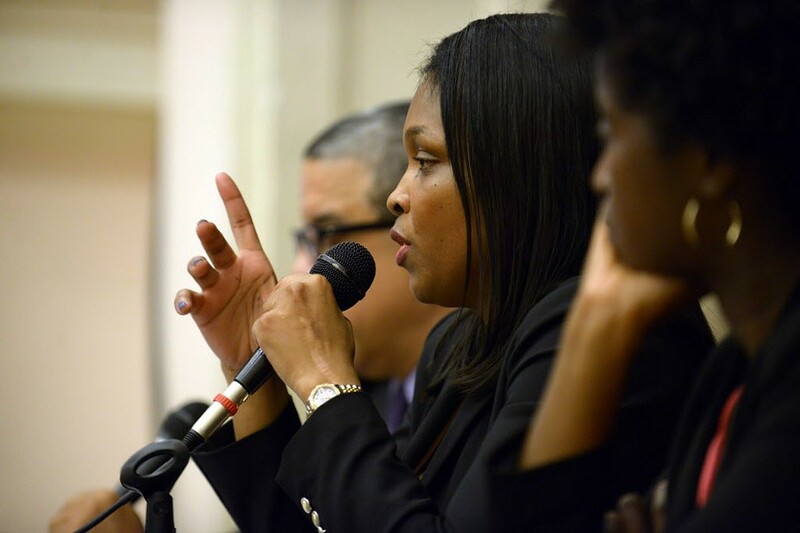 Monday's meeting was Jackson's first opportunity as an official to face a hostile north-side audience enraged by an ill-conceived CPS decision shoved down their throats. This is a rite of passage that previous CPS leaders (such as Paul Vallas and Arne Duncan) have had to endure. Unlike Duncan or Vallas, however, Jackson isn't the highest-ranking CPS official—she's the chief education officer. The chief executive officer (can they make this anymore confusing?) is Forrest Claypool, Emanuel's old pal. Coincidentally, Emanuel and Claypool both live within walking distance of Blaine. But apparently they were busy doing something else on Monday—perhaps hiding under their desks—so they dispatched Jackson to face the crowd. Now this showdown moves to the principals' association election—words I never imagined I would write. Traditionally, the association has been a moderate group that stays clear of confrontations with the mayor. The other candidate in the race is Kenneth Hunter, who took an admirable stand against Emanuel's decision to stick a Noble Network charter school across the street from Prosser Career Academy, a public vocational high school. But in this race, Hunter's clearly Rahm's candidate—or at least the candidate Emanuel wants to win. When I called LaRaviere for an interview, he said he had no comment. After being pushed around for three years, some principals are pushing back.